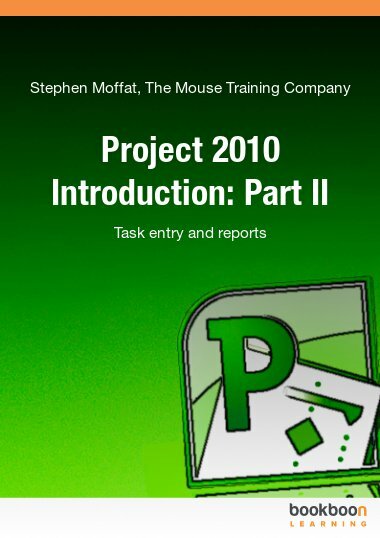 Outlook 2010 is a powerful Information management application that allows you to co-ordinate projects using a variety of different tools. Outlook 2010 is a powerful Information management application that allows you to co-ordinate projects using a variety of different tools. These range from E-mail for communication, to the Calendar, which can be used for time management. Tasks to manage your workload and notes to stop you forgetting important bits of information, Finally contacts to keep track of all the people you need to incorporate into your busy schedule either by phone, email projects, mailings or social connections. 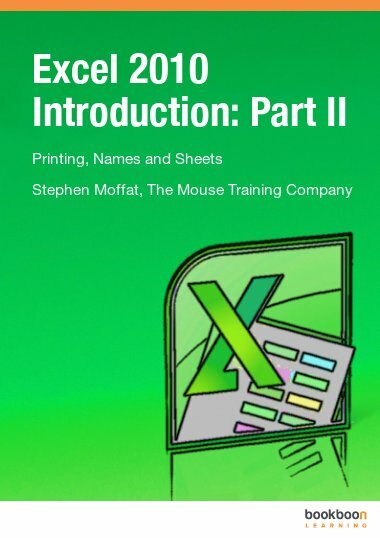 This ebook is the first part of a series of three ebooks. 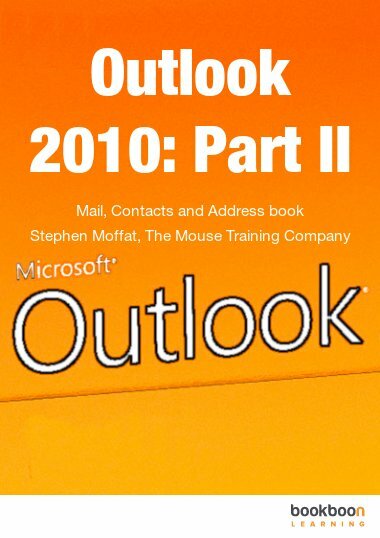 First you find a brief introduction to help you understanding Outlook 2010 better. 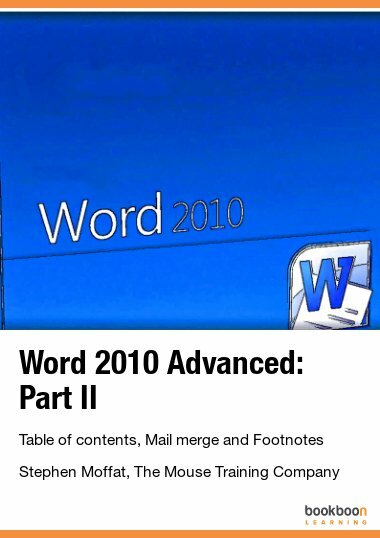 Furthermore you will learn how to use folders, mail messages and make use of the different Outlook 2010 message options. A Folder is a container that holds items within Outlook. Folders only store specific items, such as e-mails in an e-mail folder or appointments and meetings in a calendar folder. Each different kind of folder holds a different kind of item it is not possible to for example store appointments in an e-mail folder and vice versa. 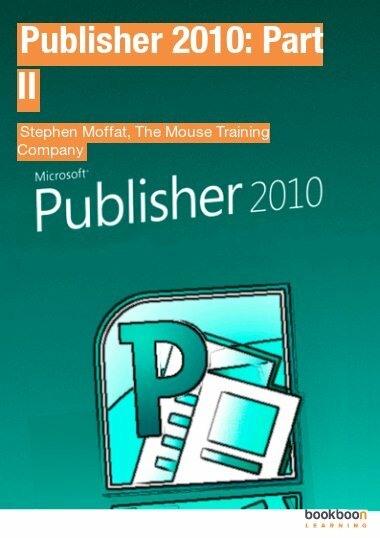 In the chapter about Outlook 2010 folders you will learn how to use folders. 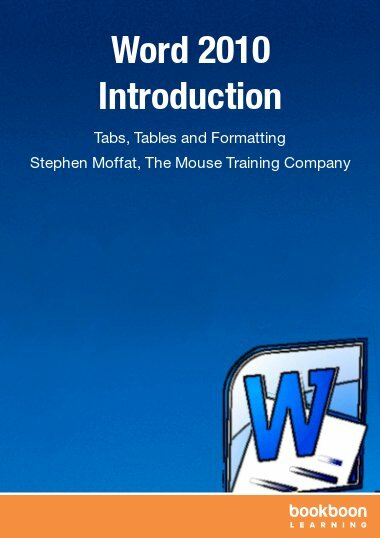 You will also learn how to create and manage your folder list, how to create and use public folders and how to navigate within the navigation pane. In Outlook 2010 there are several message options you can set before a message is sent. In the chapter Outlook 2010 message options you will learn how to ask for read and delivery receipts, how to ask contacts to vote and how to divert replies. Moreover you will learn how to set delivery and expiry dates, flag messages for follow up, create an auto signature and use more than one e-mail account.